The GVLR is always seeking to recruit new volunteers. For without our volunteers there would be no GVLR. We have openings for guards and drivers, who would like to join us one or two afternoons a month. Experience is not needed, as full training will of course be given. So why not come along and join our happy group, where you will receive a warm welcome. Your reward will be working in the fresh air, keeping fit helping to crew our trains where you will meet new people. If you are interested, please contact Alan Calladine, address below, for more details. 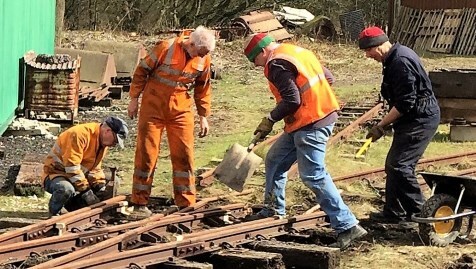 We will be delighted to show you our railway and what activities our volunteers undertake, without obligation. The GVLR is also interested in meeting volunteers who would like to become more involved in its engineering and permanent way activities. With our new Running Shed, we can provide first class facilities for volunteers who would like to help us maintain and restore our rolling stock. 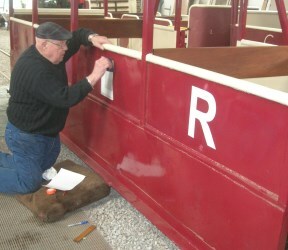 Once you have helped restore an item of rolling stock, we will be most pleased if you then want to drive it. If you need more information, please do get in touch with using the form on the Contact Page and we will try our best to help.